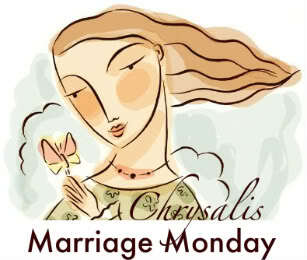 Today I'm linking up with Chrysalis for Marriage Monday. When I heard this week's topic was "submission," a story immediately came to mind. It took place many years ago, after one of our "hot" Friday night dates at the Home Depot. I can't recall specifically what the project dejour was, but I do remember it involved two-by-fours. The van was our transportation that evening so Bob placed a couple of the boards between the seats and rested the ends up against the windshield for the drive home. Sitting in the passenger seat I suddenly had the impression that this was not a good idea, but when I mentioned it to Bob he just brushed it off and said that it would be fine. The feeling would not go away and I knew it was the Holy Spirit speaking to me so I mentioned it to Bob again, and again he just pooh-poohed my concern. We had just begun the drive home when I heard a loud POP! followed by a slow cracking sound. 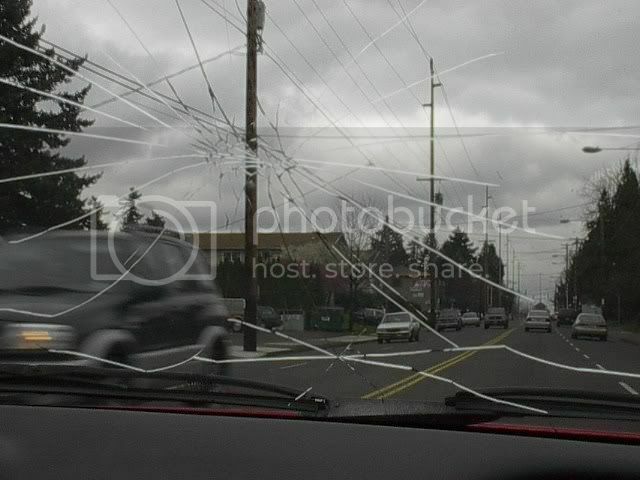 I looked up to see a big crack now running across our windshield. Words came beating the inside of my lips like a battering ram. See, I knew what I was talking about. The words came but my lips remained tightly shut. This too was the Holy Spirit. We rode home in silence. I mentioned this to Bob when I asked his permission to share this story (I, for one, was quite amazed at my silence) and his response was, "Well, there really wasn't anything to say, was there?" I guess not - that big crack said it all. I remember waiting several days before broaching the subject with him. 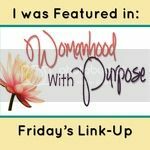 When I felt it was safe to bring it up, I inquired as to whether or not I should keep pursuing a subject if I felt he was wrong. Bob replied that he wouldn't want me to handle the situation any differently. Specifically he said, "If I don't listen to you and something happens then it's my own fault and I'll just have to deal with the consequences." So, one way I submit to my husband (and to God) is to say what I need to say and then do my best not to bring it back up again. Father, I thank you for the husband you have blessed me with. I thank you for his patience - and Yours - over these past eighteen years as I've learned how to be the wife You've called me to be. Oh my goodness...this was GREAT! I'm chuckling because that's something that would happen to my own husband and I...we've been in similar situations, let me tell ya! 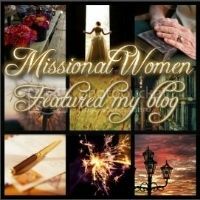 I LOVE your blog and just became a follower. I read your story at the top of this page...the link to it and I marvel at how the Lord has worked in your life. I also have some daily pain (worse in winter months) (for last 10 years) due to lyme disease....I love your spirit that comes out in your writing....and jeremiah 29:11 is also my life verse!!! in fact, I have it on the wall in our family room and on my own blog! so glad to "meet" you!! I commend you for listening and following as the Holy Spirit led. Hugs to you my fellow sister in Christ. I love how the Lord both encouraged you to help him and then to be patient. I'm really working on this...submission doesn't come easy to me. Incidentally, WHO is this woman that it DOES come easily to?? HA! You're right...short of the Holy Spirit's special duct tape I won't be quiet when I think I'm right! A wonderful, encouraging story! Thank you for joining us for Marriage Monday today, Lisa. So nice to meet you. Oh Lisa ~ you totally cracked me up this morning! Don't know how you held it all together, I would have failed Proverbs 27:15 horribly! Good story Lisa....it is those small day to day things that challenge our actions and reactions, will we show our love and respect for our spouses and give up to God our pride? You nailed it. Thanks for sharing.